Hello everyone! I am already back in Manila! My vacation have been really awesome and I'd like to thank all of the friends and new people that I met during my Iloilo-Bacolod trip. I will be sharing photos soon so I hope you'll visit again for that. I miss writing posts here on my blog! And since I am back, I'll first share with you that SM Kids Fashion is again having a 3-Day Sale starting tomorrow until October 26. This is actually a fashion sale and event rolled into one since there will be styling activities that you can attend on those dates. It would be fun if you could bring your kids, young cousins or siblings to the venue, especially if you are already planning on buying outfits for them on Christmas day ("Pamasko" is still something that my sisters always look forward to!). 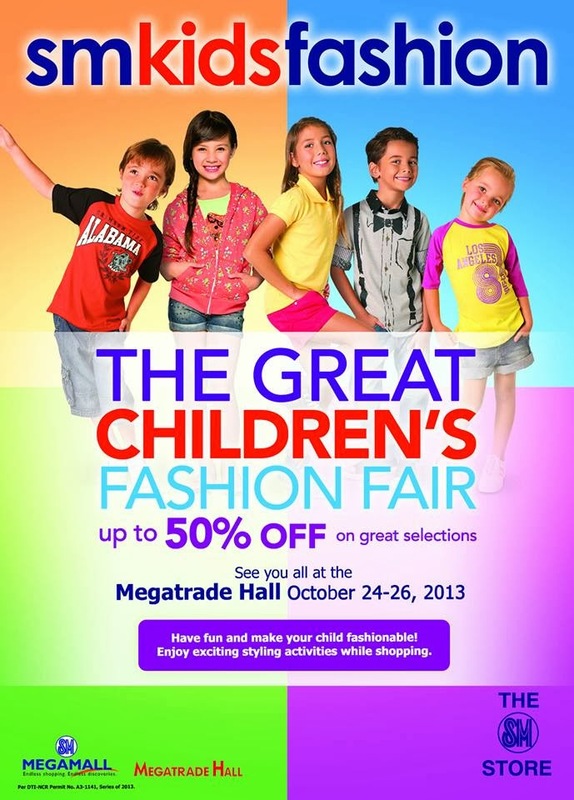 I still have to buy my youngest sister a pair of shoes so I might drop by the Megatrade Hall tomorrow. Happy shopping to us!